Did you know that changing just a few of the everyday words you use while conducting business can actually enhance people’s positive impressions of you? Here are three highly effective tips you can start using today. “And” instead of “but.” Here’s one of my favorites! See if you can tell the difference between these two statements: “I know you’ve missed the deadline, but…” vs. “I know you’ve missed the deadline, and….” The first sets up a negative “but,” which precedes bad news – and since people know this, they tend to get defensive or tune out whatever follows, regardless of its legitimacy. Conversely, the second statement acknowledges the bad news, yet skillfully avoids the sense that a shoe is about to fall. Result? The “and” says, “We can work on a solution, which is more important than the blame right now” – and people are far more likely to listen, meaning communication improves. Successful professionals focus on what I call the Can you think of additional ways to change commonly used words or phrases so co-workers and clients respond even better? I encourage you to delve deep and test new ways to communicate verbally and in writing! Known as the pioneer of the administrative training industry, Joan Burge is an accomplished author, professional speaker, consultant, and corporate trainer. 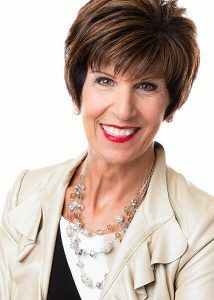 She is the founder, CEO, and visionary of Office Dynamics International, an organization that provides high-performance executive and administrative assistant training and coaching. How could you change commonly used phrases to increase the responses you get? Share your ideas here.